Easily hauls loose dirt, mulch or rock for small or large jobs. Great for spreading sand or moving heavy rocks or bags of potting soil for bedding plants. 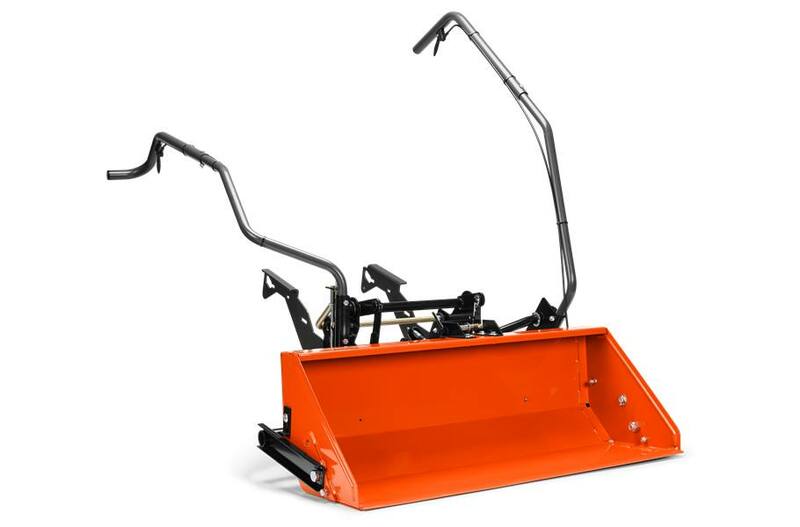 Lift, lower and dump all from the tractor seat with easy to reach ergonomic handles. Removal of scoop is easy after 1 time install of mounting brackets. Mower deck does not have to be removed. Bucket raises 5" to 7" from ground. Can use bottom of bucket for leveling. Tire chains / wheel weights recommended for better performance. Fits all 2006 & newer model year tractors.